The VIP members of TXI Center form a great resource and platform for companies to find partners and develop markets. Taiwan is a perfect testing market for any new J.V. 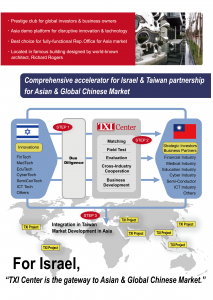 between Taiwan and Israel, once the business model is proven and tested in Taiwan market, TXI Center will find more resources to help the J.V. grow into Asia market and Global Chinese market. TXI team will use the resources from its investors or members to provide your companies customers, so that your business model or products could be tested and modified. 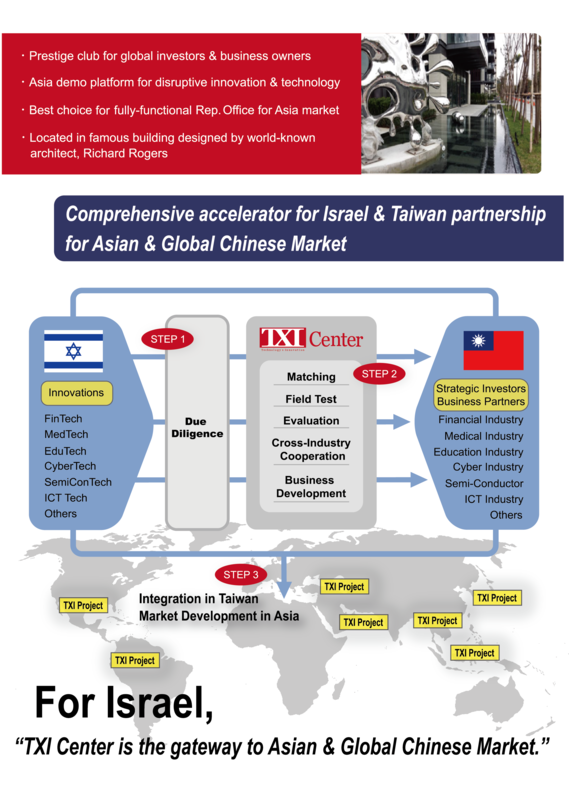 After your success in Taiwan market, TXI center will help you grow Asian & Global Chinese market through the platform of TXI Fund’s investors and members. TXI provides one stream services from business registration, service office space, mentoring or advisory, providing customers, business development, market / product test, and investment or partnership.